Combining history and fiction, Mathews, a former CIA analyst and author of many books, including The Alibi Club, has concocted an intriguing thriller starring the young Jack Kennedy as a spy. Twentytwo years old and setting off for Europe, Kennedy is recruited by FDR to stop a German conspiracy working to ensure that Roosevelt is not elected for a third Presidential term. Francine Mathews's book That Churchill Woman is currently available from LibraryThing Early Reviewers. Francine Mathews's book Jack 1939 was available from LibraryThing Early Reviewers. Francine Mathews's book Jane Austen Made Me Do It was available from LibraryThing Member Giveaway. 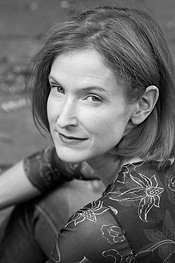 Francine Mathews is currently considered a "single author." If one or more works are by a distinct, homonymous authors, go ahead and split the author. Francine Mathews is composed of 4 names. You can examine and separate out names.